Throwing things away can be difficult, but doing so will get you one step closer to a clean, clutter-free home. Clearing out old, unused items will leave room for new things, or you can simply enjoy more space and a more organized home. Most organizing experts agree that you need to be ruthless when clearing items out of your home, but we’ve provided some tips just to help you get started. Many people enjoy cleaning out their homes on a monthly basis to find what they don’t use or need regularly. 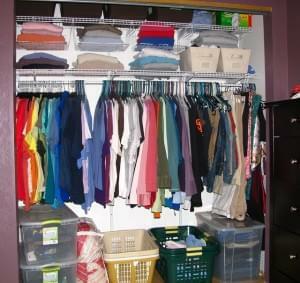 With clothes, it can be even easier to quickly realize what you’re not using or wearing on a less frequent basis. As the seasons change, you may want to pack up and store away last season’s items (like heavy overcoats when summer rolls around, and bathing suits and summer essentials when winter rolls around). 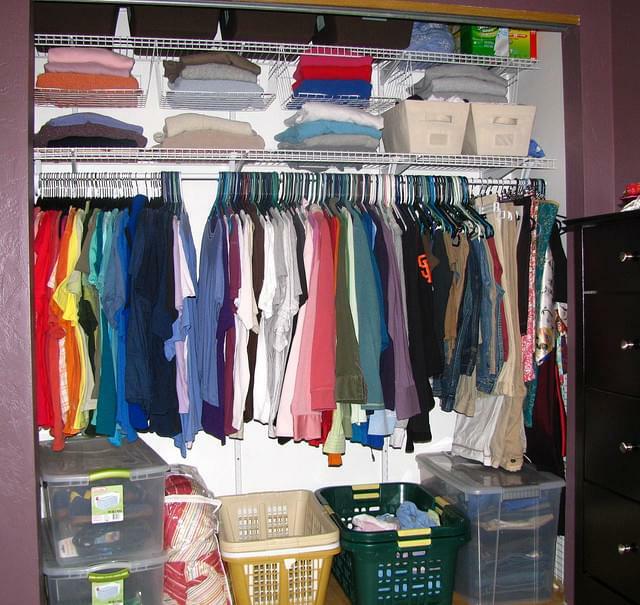 Another quick way to clear out any clutter in your closet is with a simple trick. Turn all your hangers so they are facing the opposite direction. Once you have worn that item, put the hanger back in the correct position. After one year, take a look at the hangers that are still facing the opposite direction. These items haven’t been worn in a year, so you can more quickly determine if they really deserve a space in your closet, should be stored in your self storage unit, or can be donated. If any of your items can be donated, rather than disposed of, this is always a better option. Make sure your items can’t be upcycled or reused by someone else before you throw them out. Even old magazines can be donated to local schools, doctors’ offices, or salons. Some items can also be sold on sites like craigslist and eBay, or they can be appraised at your local pawnshop. If something hasn’t been used in more than a year, chances are, it’s safe to throw it out. However, there’s nothing worse than throwing something out only to realize you need it a month later. For items that you just aren’t sure about, place them in storage first. If you find that they are still just sitting there one year later, it’s time to let them go. Contact Value Store It to reserve your unit and begin clearing clutter out of your home today!